Steady rain made IMSA’s Continental Tire Series season finale at Road Atlanta a highly unpredictable event. 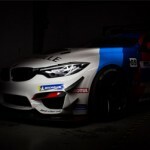 When it was over, the BMW tuning and aftermarket specialists at BimmerWorld were able to bring one of their turbocharged 328is home in seventh place with Tyler Cooke and Andrie Hartanto behind the wheel of the No. 81 BMW F30 chassis. The sister No. 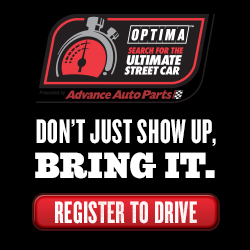 84 OPTIMA Batteries BMW F30 of team owner/driver James Clay and Jason Briedis weren’t as fortunate in the adverse conditions, but persevered to record a valuable finish in Street Tuner class. 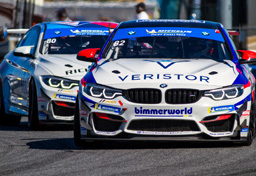 2015 marked BimmerWorld’s first season of solely focusing on the BMW F30 platform, and as Clay explains, the lessons learned and partnerships that were formed will produce more speed and success when the new season gets under way in January. “We continued to learn a lot this year as we focused on making the F30 drivetrain reliable,” he said. “We made more prudent decisions at times which made us less competitive at a brutally hot Sebring and CoTA, but we increased the lifespan of our powerplants significantly this year through a variety of initiatives internally, and from our new engine partners at Roush. The seventh-place finish was a positive outcome for Cooke, who’s developed into a bright young team leader, and for Hartanto, who distinguished himself as one of the fastest and most consistent rookies in the series. “Starting on slicks was challenging and it took everything I had to not slide off the track,” said Hartanto, who started the race in the No. 81 BMW F30. “Once the guys put us on the wet tires, the car really began to work well and allowed us to climb up through the field. Huge credit needs to be given to the team for putting together a car that was so awesome in the rain and also for their amazing work in the pits which enabled us to jump out in the lead. For Cooke, who transitioned into the veteran role of the closing driver this year, Road Atlanta—and the season as a whole—was a positive experience. “Andrie did a great job climbing his way to third place, and the team did a great pit stop which jumped us to the lead,” he said. “The race for the beginning of my stint wasn’t too bad but the rain got worse and worse and the visibility got worse. The team gave us a great car and walked away with a seventh and I am very happy with that. The team, and Andrie and I have made big strides throughout the year to help the car and ourselves. 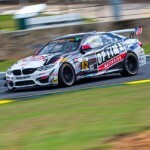 Although Briedis and Clay wanted more from their Road Atlanta result in the No. 84 OPTIMA Batteries BMW F30, the effort expended by their pit crew and engineers was undeniable. 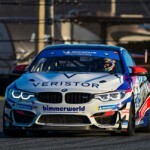 With BimmerWorld’s turbocharged BMWs ready to visit Victory Lane in 2016, Clay is looking forward to welcoming a few new faces to the program to take part in the journey. “The F30 has shown serious potential all season and has led races and topped the charts,” he said. “We have learned along the way, and the package continues to get better and more consistent. After our pending offseason to implement some work that has been in the pipeline for months, and testing at the Roush facility which can duplicate the brutally hot conditions we can face during the season in a test cell, we will have the final pieces of the puzzle and be ready to kill it in 2016! 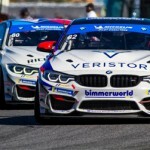 ABOUT: BimmerWorld is renowned as a leader in BMW aftermarket and tuning expertise, and competes in the Continental Tire Series with a pair of BMW 328is (F30) where the Virginia-based outfit has become a routine winner and Championship contender.